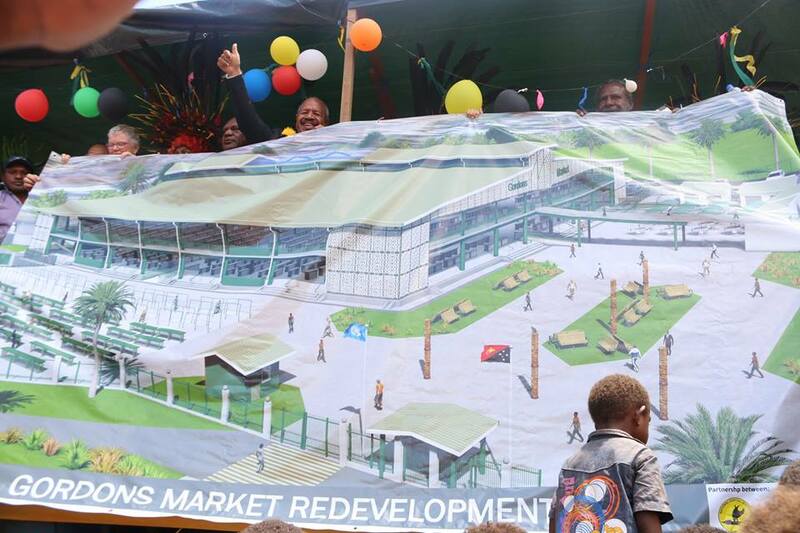 Port Moresby’s main fresh food market at Gordon, Moresby Northeast, will be demolished next month and replaced with a massive redevelopment at a cost of K30 million. This follows the unveiling of the markets final design – after two to three years of delay at the market yesterday by National Capital District Governor Powes Parkop, local MP John Kaupa, New Zealand High Commissioner Sue Mackwell, and UN women representative Christine Cheong. “It’s been a challenge designing, redesigning, and throwing plans and coming up with new plans, but finally today, we have a new plan,” he said, adding that they had to ensure the issue of safety and traffic management at the market was addressed. He apologised for the delay and also thanked the New Zealand Government, which contributed K15 million through New Zealand Aid, for being committed to the project while National Capital District Commission will meet the remaining cost. Fletcher Morobe has been engaged as the design and build contractor of the project which will see the construction of a two-storey structure to cater for more than 1500 registered vendors. The redevelopment will also include cafes and kiosks, spacious parking area, food court, play ground, a space for informal vendors, landscaping of and a one-way traffic system. Mr Parkop said the new market,,which has also accommodated safety concerns, will be of world-class standard and give a positive image to the city. “Here in Gordon market, it is like a barometer when people hear that the market is safe then they conclude that the city is safe but if some problems happen in the market then there is a conclusion not just here in the city and the country but all around the world too that Port Moresby is not safe.” NCDC markets manager Charlie Pengi had previously mentioned that the vendors would be relocated to Boroko market during the two-year redevelopment of Gordon market.